When author Sylvia Crooks was a three-year-old growing up in Nelson, a young man named Maurice Latornell taught her how to skate. In 1944, Latornell died during a bombing mission over Berlin. For Crooks, Latornell’s death “brought home … more than any of the newsreels or war movies, the reality of the war” (105). At the time, Crooks did not know how or where Latornell had died. However, she never forgot him and eventually decided to research his life and death, beginning by confirming the spelling of his name on the Nelson cenotaph. This project eventually evolved into Homefront and Battlefront: Nelson, BC, in World War II, a chronicle of the lives of all the men whose names are commemorated on the Nelson cenotaph and the impact of the war on the city. 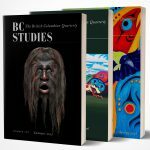 This is a thoroughly researched and poignant book that makes a useful contribution to the history of the West Kootenay region and that will be of interest to historians of British Columbia. Each chapter of Homefront and Battlefront covers a year of the war, with a final chapter covering some of the men and women who survived and returned home. The method of organization effectively enables the reader to see how the course of the war affected those on the battlefronts and those on the home front in Nelson. Casualties were relatively light during the early years of the war but then grew steadily as men from the Nelson district became involved in the heavy bombing of Germany during the latter part of the war, in the fighting in Italy, in the Normandy invasions, and, finally, in the defeat of Japan. Crooks does a good job of telling the story of pilot Hampton “Hammy” Gray, the last Canadian killed in action during the war, who died in an attack on Japanese ships in Onagawa Bay – a mission for which he was posthumously awarded the Victoria Cross (VC). Gray’s parents had already lost their other son, Jack, earlier in the war and their sister Phyllis’s recollection of receiving the sad news about Hampton suggests the VC’s limited consolation: “my parents were very proud of him for serving but it was very hard on them to lose both their sons” (169). It is a cliché, but Crooks’s portraits of the lives of the seventy young men who went to war and never came back does provide the reader with a vivid sense of the waste and loss of war. Many of the Nelson casualties were recent high school graduates who had yet to find their place in the world: some had jobs and were developing careers and families but many are described simply as nice young men who excelled at sports, sang in the choir, and signed up with their buddies. Hampton Gray signed up with his friends Peter Dewdney and Jack Diamond; they were known to friends and family as “the Three Musketeers.” Peter Dewdney was the only Musketeer to survive the war. For the families, the losses were traumatic and lasting. One man noted that the death of his uncle during the war “was a dark, brooding theme in my family life, one that ebbed and flowed sporadically through time but always came up … on Remembrance Day” (173). More broadly, Crooks’s portraits provide a window on the society and economy of the West Kootenay of the 1930s. The Nelson district casualties came not only from the city itself but also from the mining, logging, and farming communities around the lakes and rivers of the region. Often these families were of British heritage, had had direct experience of the First World War through the father, and might have recently migrated from the Prairies in search of a better life. West Kootenay had once been an extension of the American “Inland Empire,” but by the 1930s it was clearly a Canadian and British region. Homefront and Battlefront also chronicles life in Nelson during the war. Crooks relies on a careful reading of the daily press and her own and others’ recollections to describe how the citizens of Nelson mobilized to support the war effort. The fundraising campaigns, the continual production of “V-Bundles,” the entertainment of servicemen on leave from the Commonwealth Air Training Schools, and all the regular patriotic events support Crooks’s point that Nelson engaged in a “total” war effort. She does not neglect to point out that the darker side of Nelson’s wholehearted commitment to the war effort was hostility towards the Japanese Canadians interned nearby and towards the Doukhobors, who opposed war service. The most vivid descriptions of the home front, however, focus on the way the war effort absorbed the lives of Nelson’s children: comic books, toys, and games had war themes, and the children became deeply involved in the fundraising and salvaging campaigns to support the war effort. As a child, Crooks assumed that news broadcasts would come to an end when the war was over! It would have been interesting to hear more about how Nelson’s families coped during the war. Crooks reports the recollection of an eleven-year-old girl whose mother sent her back to school for the afternoon after telling her at lunchtime that her father had been killed overseas. However, we do not learn any more about how the family dealt with their loss. Patrick Lane, in his recent memoir, There Is a Season, refers to the intense loneliness and unhappiness of his mother and other women during the war years in Nelson, when their husbands were away.1 Lane’s references to wartime Nelson are brief, but they suggest a rawer and rougher city life than emerges in Homefront and Battlefront. All in all, though, Homefront and Battlefront is an excellent and well researched work of local history that could serve as a model for similar studies on the impact of the Second World War on British Columbia’s communities. Patrick Lane, There Is a Season (Toronto: McClelland and Stewart, 2004).